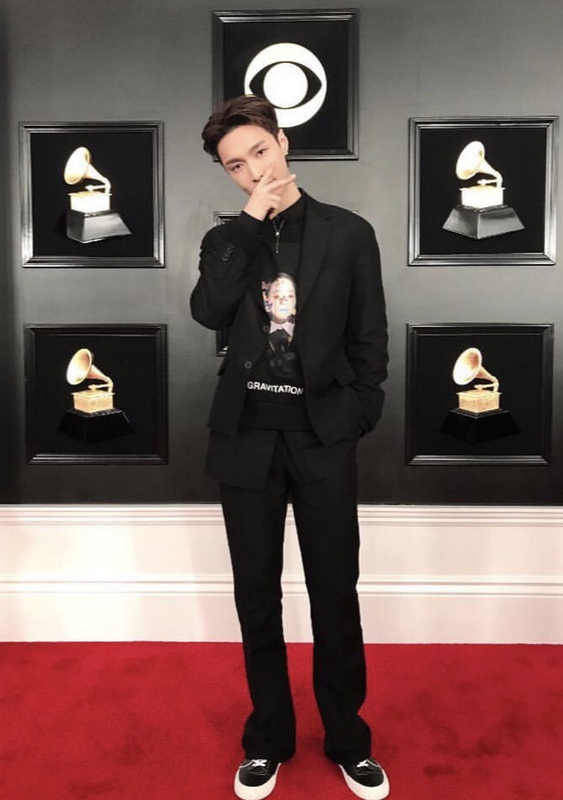 EXO member Lay Zhang showed off his charms on the red carpet at the 61st annual Grammy Awards 2019. Lay attended the awards show as FM101’s music ambassador. He is the only artist who was invited by China Music Vision and FM101 to attend the show. Lay spoke about working with Steve Aoki and A$AP Ferg during a couple interviews on the red carpet. He also mentioned wanting to collaborate with more artists in the future and also one day wanting to perform on the Grammys stage. Lay also posted on his personal Instagram page about his excitement about attending the Grammys. He even posted with an American hotdog saying how good his day was at the Grammys. Would you like to see EXO and Lay perform at the Grammys one day? What do you think of Lay’s outfit for the Grammys? Let us know in the comments below!